Black seeds, also known as Nigella Sativa, black cumin, kalonji seeds and haba al-barakah (Arabic phrase) has been used by people for thousands of years. Some associate black caraway with black seeds and they come from two different plants. Kalonji seeds are found in India and haba al-barakah is an Arabic word and used in the Middle East mainly. Black seeds are commonly used in the kitchen also in many recipes. Prophet Mohammad was quoted as saying, "There is healing in Black Seed for all diseases except death." It is also believed that honey was part of the blessed seed cure. It was part of the tradition to put some honey and ground whole black seeds in the palm of your right hand and lick it up with your tongue. In the days of Prophet Mohammad there was no black seed oil. Black seed oil was found in the tomb of King Tut proving that the important kings found value in this seed. It was a sign also that of all the gold and diamonds he possessed, black seed oil was part of what he chose to take to the next life. Black seeds contain over 100 chemical compounds and some of the ingredients are yet to be discovered and identified. The main active ingredient in black seeds is crystalline nigellone. The seeds also contain beta sitosterol, thymoquinone myristic acid, palmitic acid, stearic acid, palmitoleic acid, oleic acid, linoleic acid, arachidonic acid, proteins and vitamins B1, B2 and B3. They also contain calcium, folic acid, iron, copper, zinc and phosphorous. An all around multiple vitamin in these tiny black seeds. ack seeds have been used for centuries to cure everything from the common cold to migraines. By mixing the black seed oil with juice and drinking first thing in the morning, you will have increased energy. It is used to treat cancers, reduce blood pressure, treat multiple sclerosis, prevent heat disease, and treat acne and skin problems and more. The number of diseases and ailments it treats would match the nutrients in the seeds. It is a vitamin of life and should be taken daily. Taken daily will help the body quickly recover from any problem that comes? The seeds are just as valuable and nutritional as the oil. Many take the oil for convenience and for its potency. 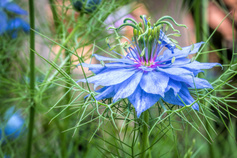 One of the most exciting discoverings concerning black seed oil is the research on how Nigella Sativa (black seeds) has been successful in the treatment of pancreatic cancer. Pancreatic cancer is one of the hardest cancers to cure and these miraculous seeds have been successful in creating cell death or apoptosis. Pancreatic cancer is what killed Patrick Swayze who chose to go the traditional route of chemotherapy and drugs. Pancreatic cancer is the 4th leading cancer in America. Traditionally ground black seeds are placed in honey. The proper way to do this is to fill the jar 1/4 way with honey and add 1/4 jar of ground black seeds. Keep adding equal amounts of honey and black seeds until the jar is almost filled. The suggested dosage amount is 1 teaspoon daily. Some will add in nuts and ground ginger for more flavor and energy. Black seeds are tart and harsh to the stomach if not heated. It is best to heat them in the oven on a slow heat. Periodically, stir them and tasting to see when the seeds become bland. You may hear a popping noise which is completely normal. Remove them from the oven to cool. After the seeds are cool, grind them in a coffee grinder to a fine powder and use as you want. Depending on the usage or the disease that you have, most dosage requirements are about the same. Remember more is not better. Over 25 grams is toxic. For general well being take one teaspoon of the black seed oil mixed with one teaspoon of raw honey one half hour before breakfast. Take this once a day. 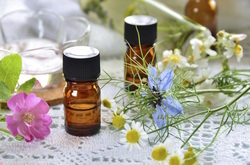 For most minor diseases such as acne, migraines, allergies, etc, double the dosage. For cancer, muscular dystrophy, memory (Alzheimer's) and heart disease, use 3 teaspoons a day divided. 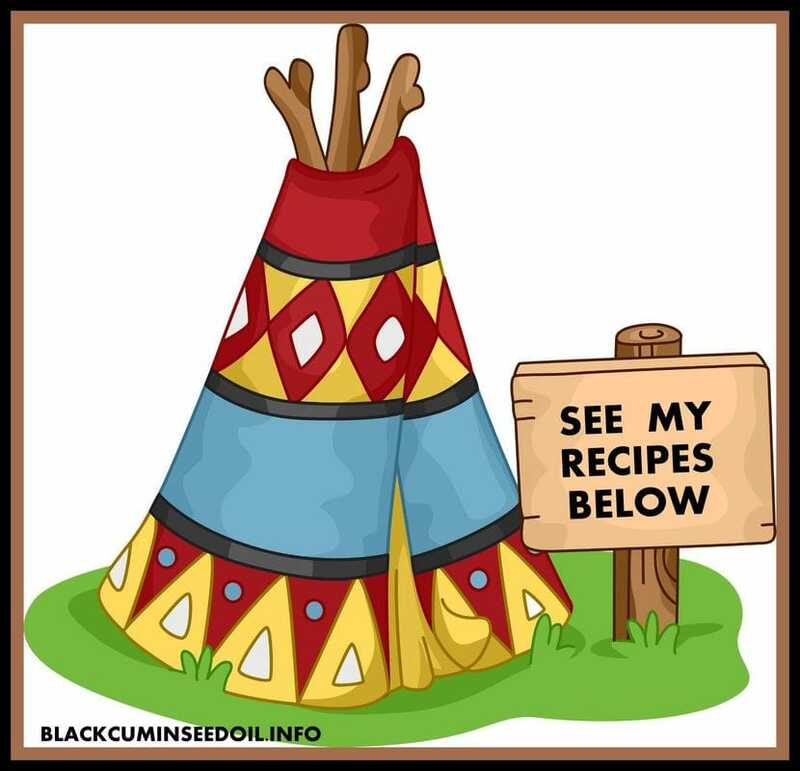 Most diseases and conditions can be treated by simply following the remedy recipe above. There are a few ailments that need a different remedy though. Acne and other skin problems - Dab some of the black seed oil on the problem areas. Baldness and hair loss - After shampooing, massage a liberal amount of black seed oil and olive oil into the area where their is no hair (equal portions of each). Beard Growth - Massage some black seed oil into the beard, all the way to the roots. Bee and Wasp Stings - Take 1/2 teaspoon of oil and 1/2 cup of water and bring to boil. Dab on the bee and wasp stings. High Blood Pressure - Use 1/2 teaspoon of the black seed oil in some water and drink before eating anything. Try to get plenty of sunshine and eat a few cloves of garlic daily. Migraines and Headaches - Rub some of the oil on top of the head, temples and a bit in each nostril. Reapply again in a few hours if you still have a severe headache. Take 1 teaspoon of the black seed oil daily mixed with raw honey or juice. Parasites and Worms - Take 1/2 cup of plain vinegar and 2 teaspoons of the seeds, not necessary to have heated seeds and bring to boil. Let the black seed mixture cool slightly and then brush on your stomach and liver area. Do not wash off. The mixture will absorb into the skin. Wear an old t-shirt to bed so not to stain your sheets. For removal of Ascaris worms, eat 7 dates before sleeping. Toothache - follow the recipe above and when the mixture has cooled, gargle with the black seed mixture. 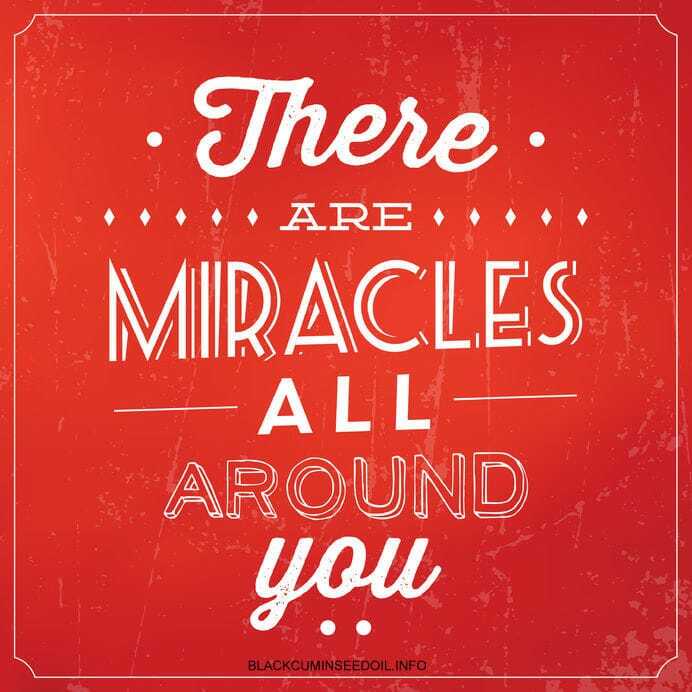 BLACK SEED MIRACLE OR MYTH??? There will always be some who doubt the miraculous power of black seeds and will doubt that they can cure all diseases. This has to do with faith and believing in the miracle. Islam teaches its followers to believe in Allah and his mercy. 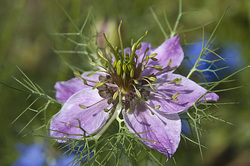 As stated above, black seeds or black cumin must be taken daily as a vitamin or a pill of life. No other seed on this planet can give what this tiny black seed can and does daily. Cancer is and shall never be a death sentence. It is a wake up call that you are living a toxic life and you NEED TO CHANGE. Here we will find out how black cumin seed oil can save your life. My cancer protocols have changed a lot over the years. 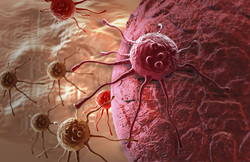 As cancer evolved, so do I. I had cancer many years ago and it taught me that what we eat today may affect us in our later life. READ A FREE SAMPLER OF MY TOP SELLING EBOOK - STEP-BY-STEP GUIDELINES TO THE BLACK CUMIN PROTOCOL - SOLD BELOW FOR $9.99. NOT THE FAST PACED ONE.